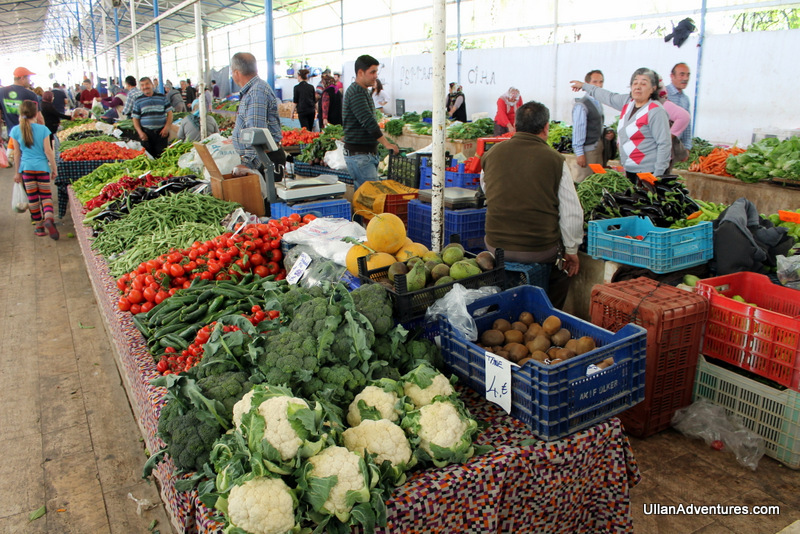 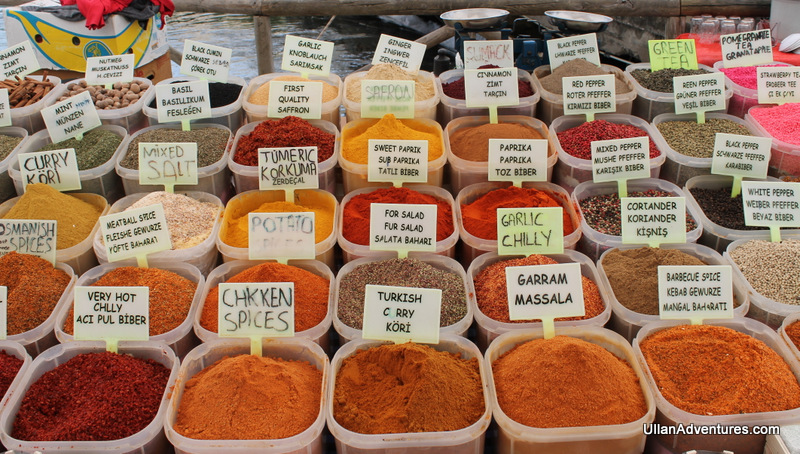 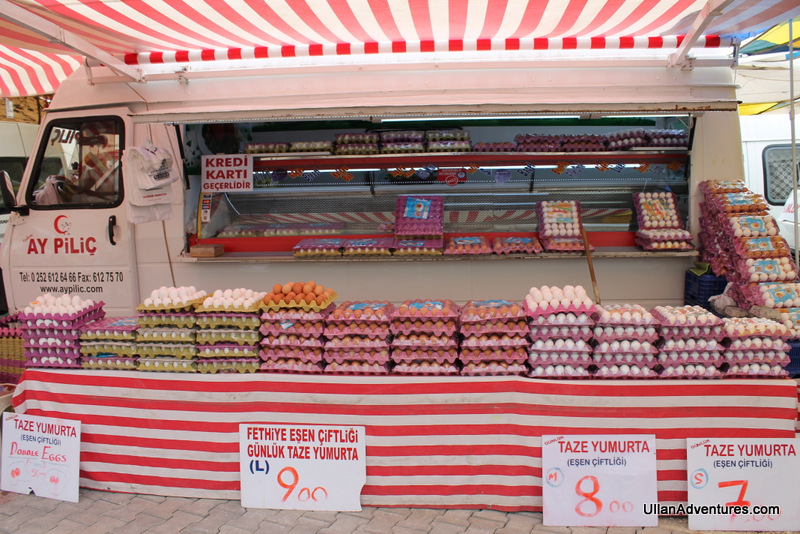 One of our favorite things to do here in Fethiye is going to the weekly markets. 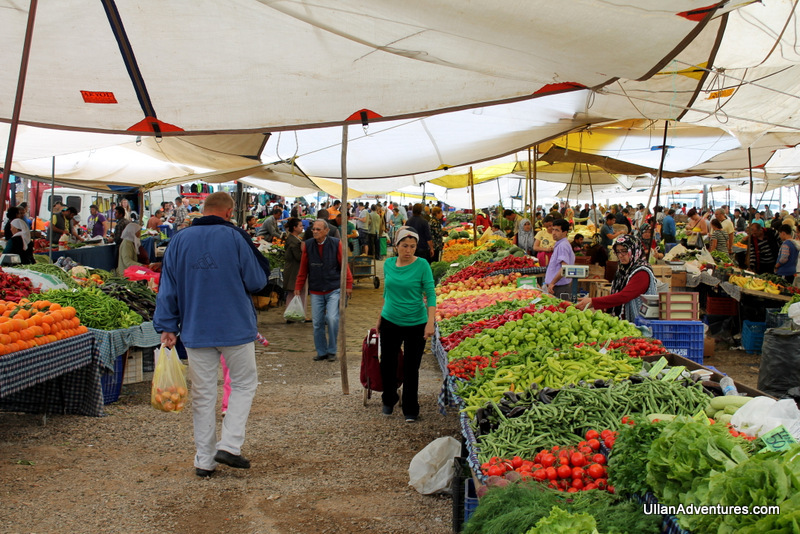 There is a Sunday market near Calis Beach which is more geared to tourists although you will see some locals there. 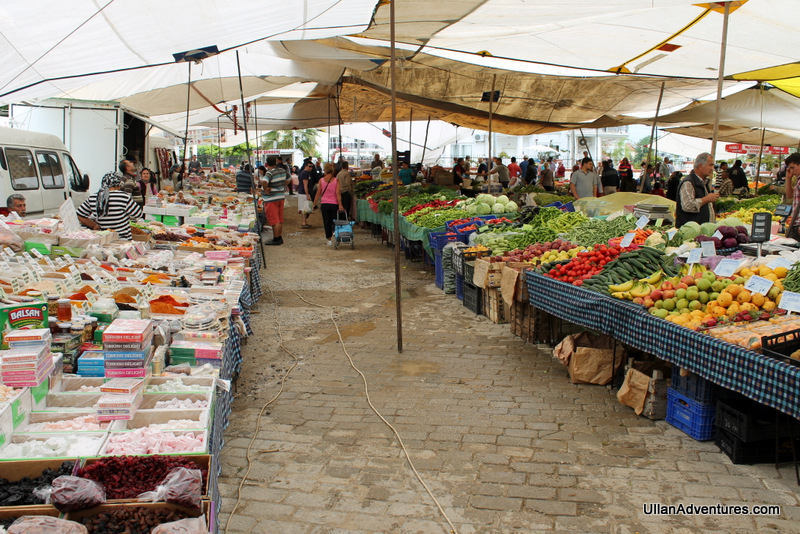 And then there is the Tuesday market in Fethiye which is almost all locals. 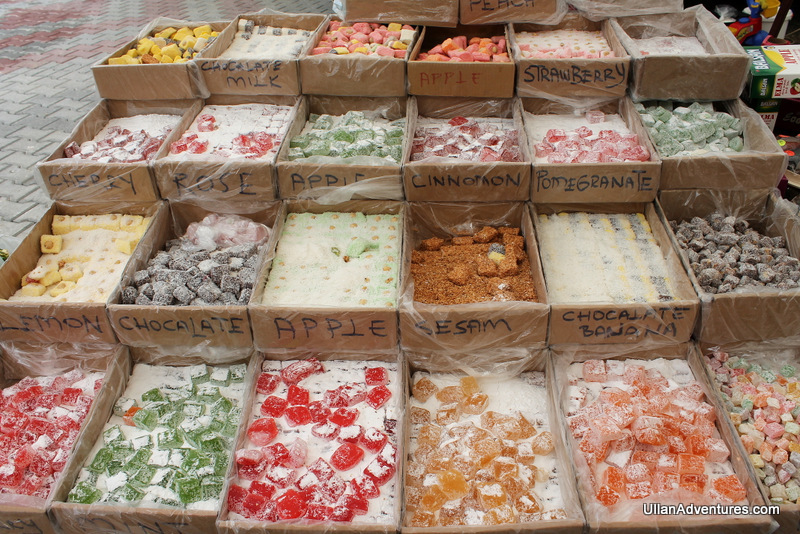 The kids always ask to go and they have a great time walking around and sampling the Turkish Delight, buying fresh fruits or getting some freshly grilled corn. 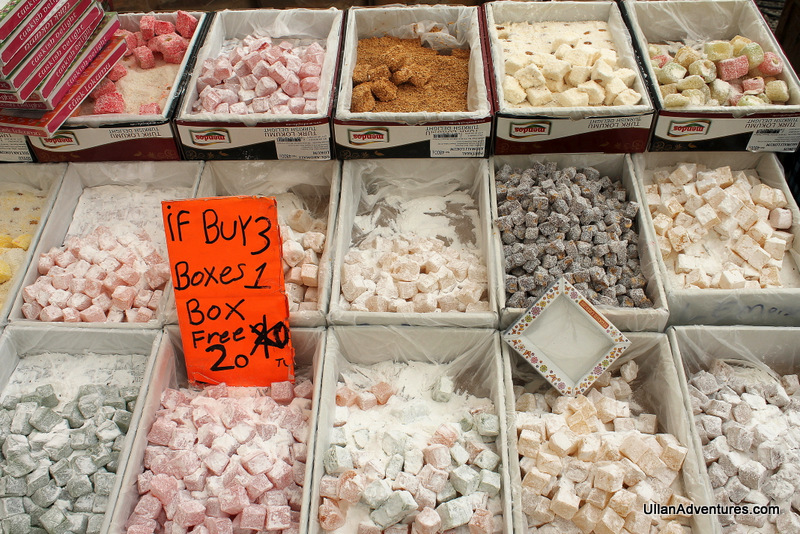 Turkish Delight everywhere – and every stand gives free samples! 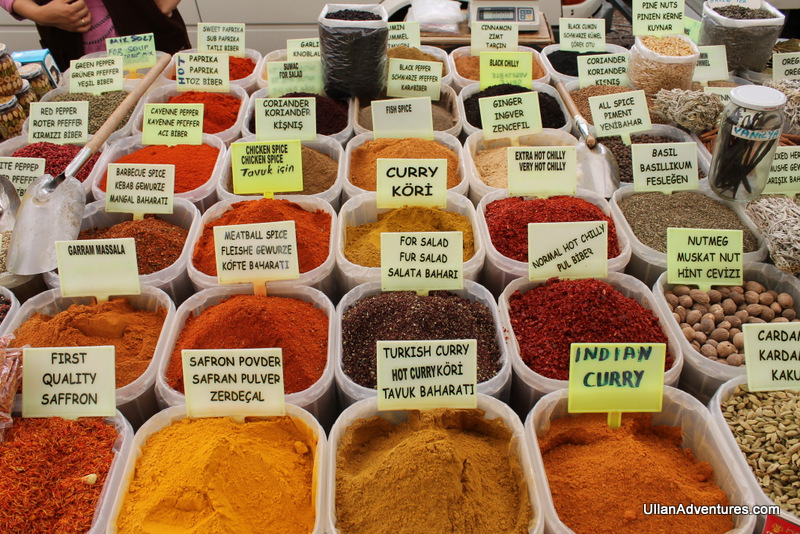 Spices, spices and more spices. 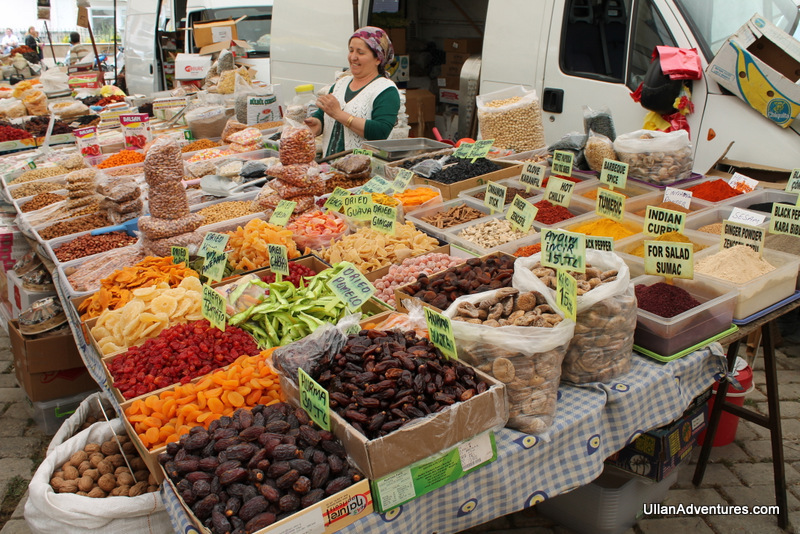 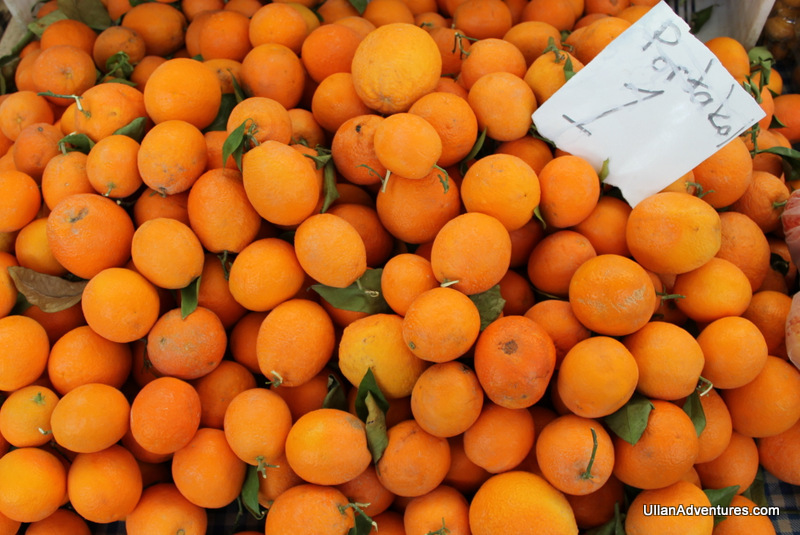 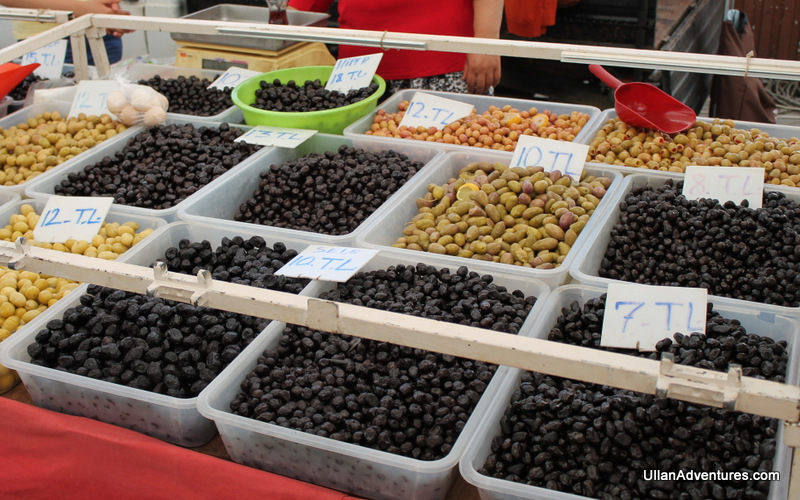 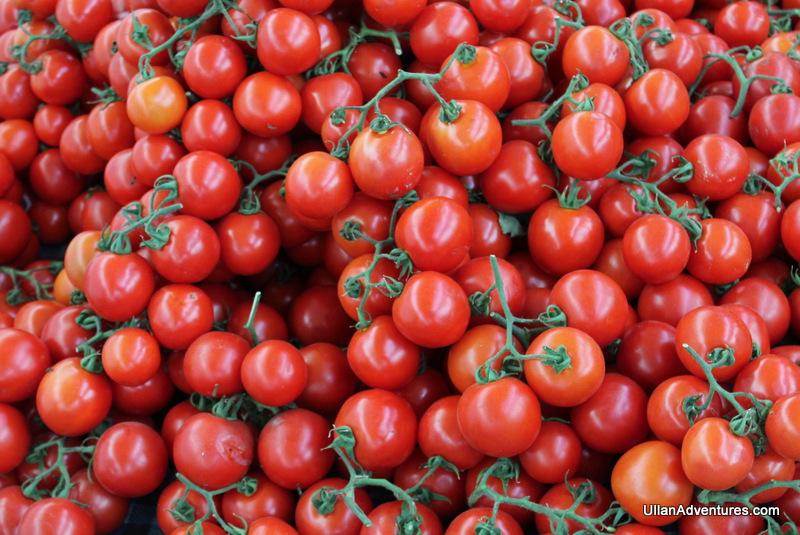 There are lot of other foods for sale too such as olives, cheese, eggs, nuts, seeds, vegetables, tea and more! 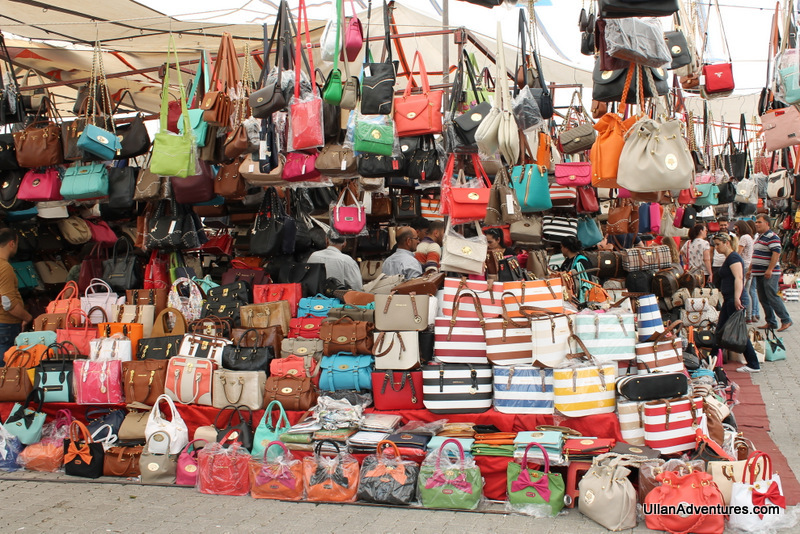 In addition, you can buy shoes, bags, clothes, household items, toys, hardware, decorative items and lots more. 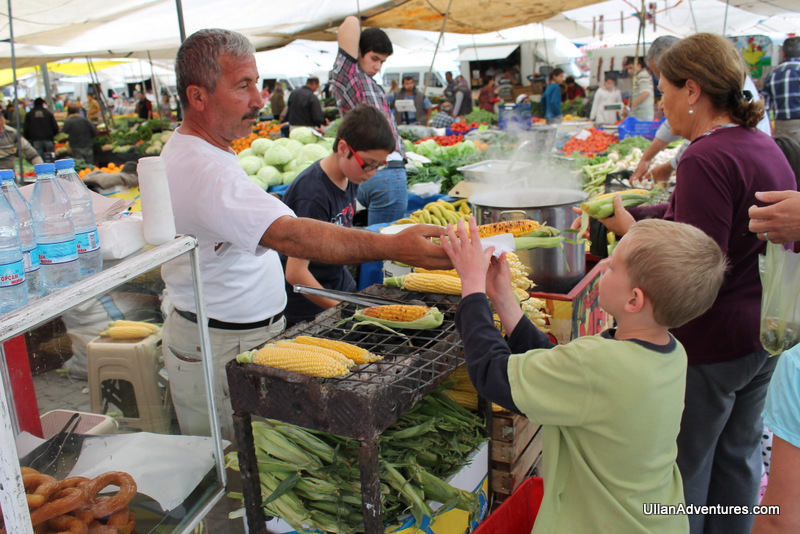 And lastly, one of Beckett’s favorite things: fresh grilled corn!